Visit our grounds and state-of-the-art facilities and experience our happy IJGS community. Ipswich Junior Grammar School now offering an aquatics learning pathway. @Grammar is Ipswich Junior Grammar and Girls' Grammar Schools' bi-annual magazine. 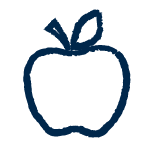 On behalf of our School community, welcome to the Ipswich Junior Grammar website. Ipswich Junior Grammar School is south-east Queensland’s only co-educational Grammar primary school. We are strong believers in the virtues of co-education in the formative years, when children are developing critical life skills that will support them emotionally, physically and socially across their entire lives. Our mission is to excel at providing each boy and girl with a positive, personalised, holistic education in a safe, first-class learning environment. For more than two decades, Junior Grammar has offered boys and girls exceptional learning experiences with dedicated, caring teachers. Junior Grammar parents see us as a family-friendly, high performing and well-resourced School that provides a holistic education with a strong focus on academic excellence and pastoral care. The attention given to the individual learning and emotional needs of our boys and girls sets us apart from other schools. Our curriculum is a balance of traditional and modern subjects combined with contemporary teaching and learning practices. 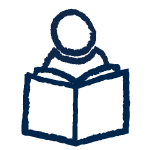 We are innovative, whilst upholding uncompromising standards in literacy and numeracy, with every child exposed to a balanced curriculum that encourages higher-order thinking and curiosity. Our high standard of behaviour and positive reinforcement encourages our boys and girls to work hard in a safe and nurturing environment. 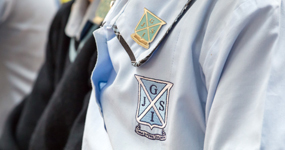 Ipswich Junior Grammar School is an inspiring and vibrant school with a welcoming, close-knit community. I am proud to be Principal and encourage you to visit or contact us to discover the difference we can make in shaping your child’s brightest future. Welcome to Ipswich Junior Grammar School! Our school offers a learning environment characterised by high expectations, quality, innovation and diversity, positivity, care and compassion, and personalised education programs. These characteristics of learning begin in our Early Education Centre (Kindergarten and Pre-Prep), and continue through to our Brockwell Gill Foundation Centre (Prep and Year 1) and Mavis Parkinson Junior School Centre (Years 2 to 6). 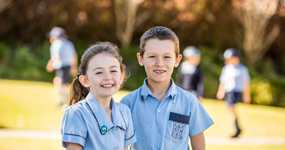 The quality education at Ipswich Junior Grammar School is a network of partnerships. These partnerships work in harmony to achieve the best possible learning and personal outcomes for all students. We foster positive relationships between: our school and our parents; our staff and our students; our staff collectively; and between the students themselves. These positive partnerships are developed through open and transparent lines of communication, shared goals, respect and trust. Our focus is on all-round educational excellence and nurturing of confident, well-educated boys and girls. At Ipswich Junior Grammar School our focus on the holistic development of the children is based on a deep knowledge and respect of each and every child. As educators, we foster the realisation of each student’s own potential by posing challenges that are relevant to their personal growth and improvement, thereby preparing our students not only for their education in secondary school, but for their forever journey as lifelong learners. Ipswich Junior Grammar aims to embed a love of learning alongside a distinctive set of Grammar values that will guide our students to become the very best version of themselves. At our School, children get more attention in every lesson, every day. Every boy and girl has an Individual Academic Learning Plan that meets his or her social, emotional and academic needs. 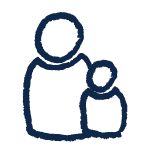 This plan is consistently monitored to build on their strengths and support their challenges to ensure they are making positive progress and we are developing the whole child. While our teachers know the curriculum, they are committed to teaching the child. As teachers we guide our students to feel good about themselves as learners, and as people. It is our desire that Junior Grammar students are ‘happy to come to school; happy while they are at school; and happy when they leave school each day’… and… they are! 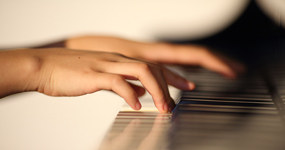 Our students are highly engaged and want to come and learn each and every day. They enjoy discovering their world with explicit and directed learning; through guided inquiry projects; and child directed individual goal setting that develops their ability to think creatively, solve problems, act independently and communicate their ideas effectively. Opportunities abound for the children to enhance and showcase their special abilities in sports, the Arts, intellectual pursuits and community service projects. Our students are 21st century learners, with an emphasis on being ‘global thinkers’, with learning in Entrepreneurship, Science, Technology, Engineering, the Arts and Mathematics, both in the classroom and our dedicated Bright Sparks E-STEAM workshop. Ipswich Junior Grammar students use the latest technology, with classroom sets of iPads, laptops, an extensive range of digital resources and our 1:1 laptop program from Year 4. Junior Grammar’s spacious, air-conditioned classrooms are located in beautifully landscaped grounds with open natural play spaces and a rainforest walk with boardwalk, rockeries and frog pond. Our boys and girls have access to first-class facilities throughout the wider School campus including a dedicated library, gymnasium and pool, fitness centre and human movements laboratory, state-of-the-art science laboratories and Health Centre staffed by a registered nurse. 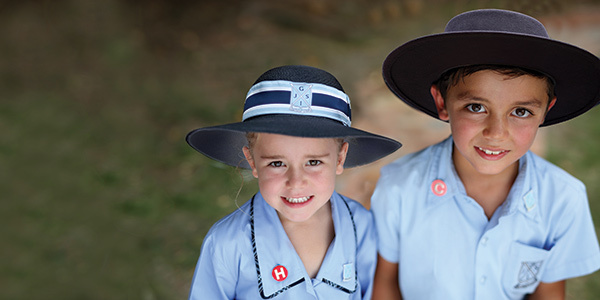 At Ipswich Junior Grammar we are a happy, friendly school with a warm and welcoming community. We are a family. I warmly invite you to visit Junior Grammar and see for yourself why we are so proud of our students and our School. I look forward to meeting you, and welcoming you to our Junior Grammar family.